After much careful consideration, I’ve decided to still post this piece on “Please Support These Solar Car Teams“. I want to clarify that these teams come from cultural backgrounds that do not complain much nor easily request for assistance from others. Therefore, none of the teams nor their team leaders had asked me to post this piece. It is based on other sources and my personal observations that had brought me to the conclusion. I would also like to remind every one that the goal of these challenges, whether it be World Solar Challenges, American Solar Challenges, Abu Dhabi Solar Challenges, SaSol Solar Challenges of South Africa, the purpose is to stimulate learning opportunities, exchange ideas to stimulate the growth of Solar Energy, and help our future generations to transition into solar energy quickly. In order to help our planet to transition into a cleaner, healthier, and more sustainable place to live in, we need to help all continents and countries to transition into EV (Electric Vehicle) and Solar Energy Age. So, I am taking this opportunity to shout out to electric vehicle companies such as Tesla Motors, Nissan, BYD, Ford, General Motors, etc. to ask for assistance for these teams in whichever way possible. 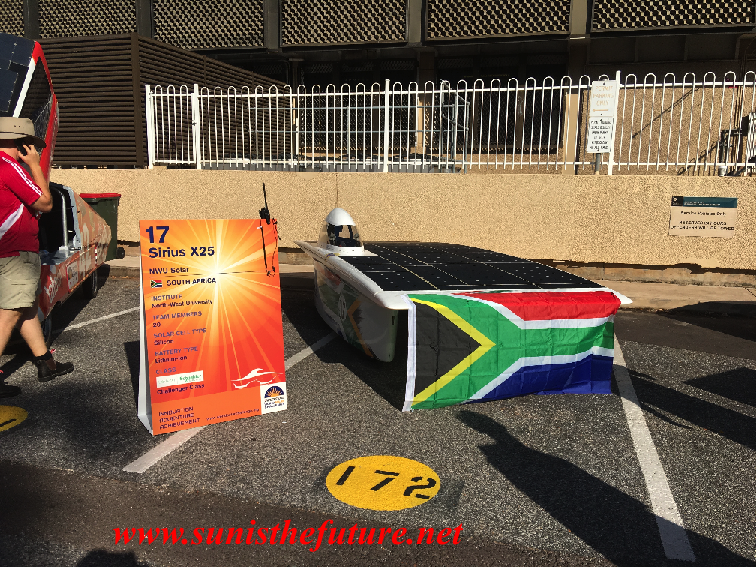 First: the two new solar cars from South Africa- Sirius X25 of North West University and Hulamin-iKlwa of University of Qwa Zulu Natal are the first and only two entrants from Africa. Both of these two teams are on very tight budget. They represent our hope for the solar future in the African continent, a place with much future growth potential. 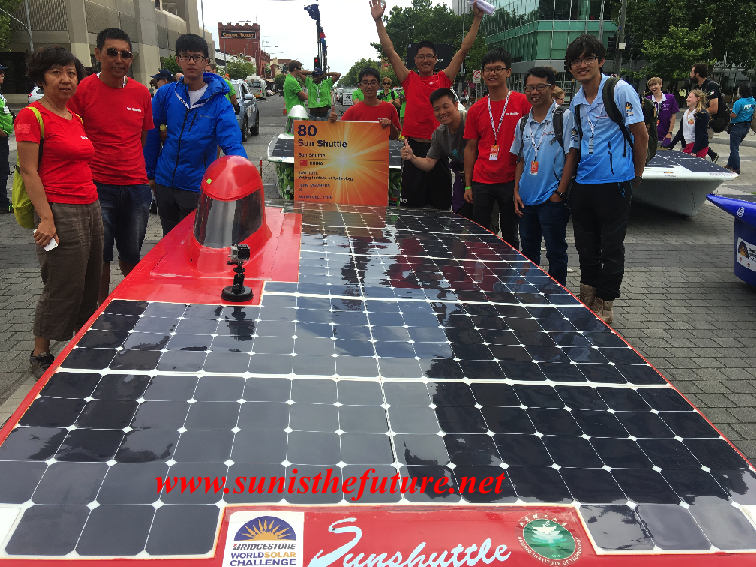 Second: first entrant from China-Sun Shuttle of Beijing Institute of Technology entered for the second time. Contrary to what some other bloggers presumed, Sun Shuttle hardly had any support this time. It’s amazing that they actually made it to WSC2015! For the good of the planet, it is critical for the Chinese to transition into EV (electric vehicle) and Solar EV future, because China is inhabited by one fifth of the earth’s population. A cleaner China will translate into a cleaner planet earth! Third: Aurora of Aurora Vehicle Association has entered every World Solar Challenge since 1987 until this year (2015). Apparently Aurora’s loss of its garage workspace further led to dramatic decrease in membership of the organization. It would be a pity not to see Aurora of Aurora Vehicle Association, the most competitive entrant of our hosting country Australia, in the future. It would feel as though part of the tradition of World Solar Challenge has been lost. I hope all electric vehicle companies, solar enthusiasts, car enthusiasts, or simply any one who is interested in protecting our planet from pollution and accelerated climate change would reach out to these universities and organizations mentioned above, to show interest in helping these solar car teams. More posts about World Solar Challenge 2015 will be coming. 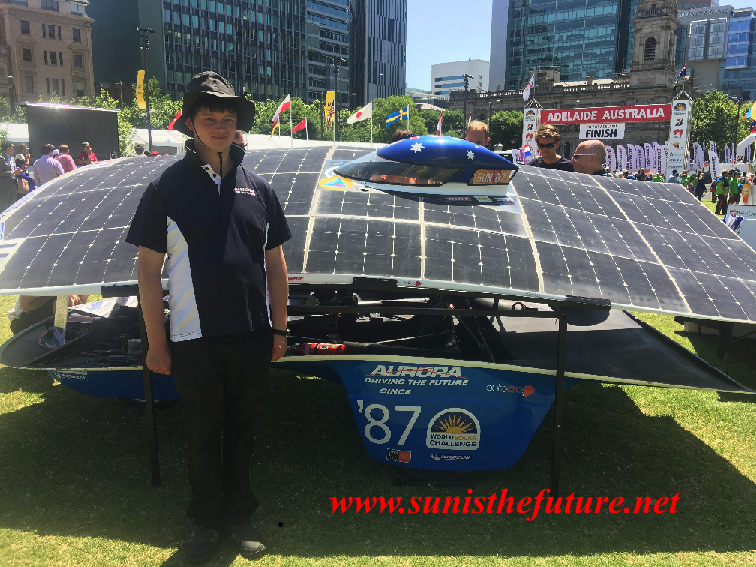 As I’ve previously mentioned in an earlier post: If any solar car team needs to have a fund raising campaign, Sun Is The Future would be gladly help in letting the world know about your fund raising campaign. 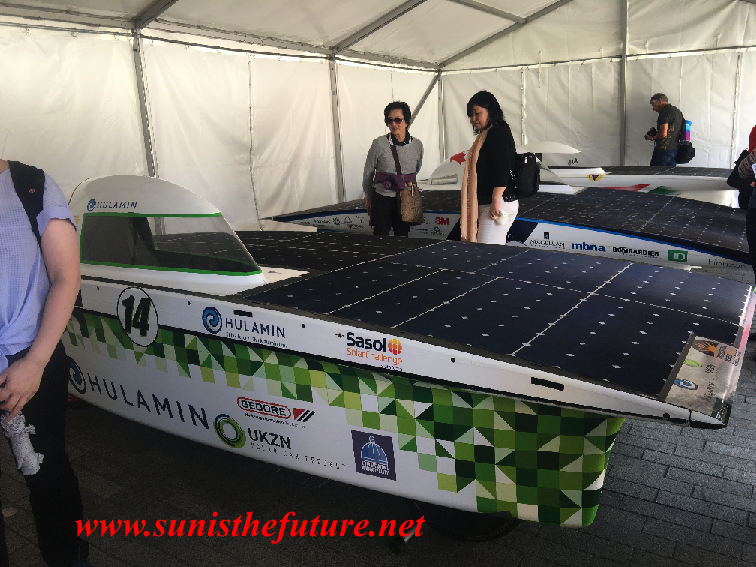 But it is crucial that individual solar car team would set up their own campaign and provide their own web site with appropriate contact information before contacting Sun Is The Future at sunisthefuture@gmail.com . Sun Is The Future will help to promote campaigns but would not be involved with the collection of donations. This entry was posted on Tuesday, October 27th, 2015 at 11:52 AM	and is filed under Educational, Events. You can follow any responses to this entry through the RSS 2.0 feed. You can leave a response, or trackback from your own site.